You grip that mouse so tightly at times, you hear its wee screws buckle and pop under the pressure. It’s ok. That’s just the result of the constant roller-coaster of excitement and frustration that consumes the life of those who use CAD software all day. We’re always on a lookout for a mouse that can take the abuse, while not damaging our delicate CAD hands. So today, we’re looking at the 3Dconnexion CadMouse. As you may know, 3Dconnexion is known for their devices that are not your typical slide-about, pad-havin’ variety. Their usual product is a line-up of stationary device that features a puck to move your model about in 3D space. So why did 3Dconnexion develop and manufacture a regular mouse? We’ve been told it compliments the 3D Mouse–3D Mouse for your left hand, CadMouse for your right hand. (Forehead for the keyboard?) However, there are also those CAD users who don’t use a 3D Mouse–those who are happy to have one hand on the mouse and one on the keyboard. 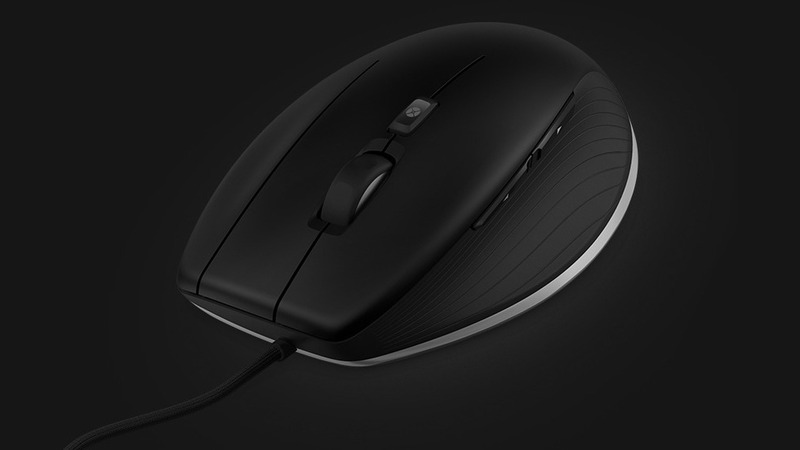 For those people, a mouse made specifically for their work makes a huge amount of sense, and surprisingly, 3Dconnexion has thought of a few things that other mouse manufacturers haven’t. The 3Dconnexion CadMouse is a corded mouse with a middle mouse button, a scroll wheel, a quick access command button and side buttons. It’s developed specifically for CAD users who need a mouse with dedicated 3D software functionality. A 3Dconnexion 3D Mouse isn’t required to use it, but the CadMouse does use the same 3DxWare that allows you to extend and customize it for various apps. While slightly larger than some wireless mice, the ergonomics and materials offer a better experience for those who use a mouse for extended periods of time. The PTFE feet slide smoother and pick up less dust and the stainless steel lower bezel makes for solid construction without adding the weight. There are quite a few features to this little mouse as you can see. These are the highlights and what stands out the most to me with 8+ hours a day on it. At first this mouse felt large. I was use to going between a regular size Logitech M510 and it’s small M325 mobile sibling. Like the size, the comfort level wasn’t even comparable. The CadMouse slopes naturally with your hand position and just enough for your palm to rest gently. Other mice leave me re-gripping to get a better grip. The CadMouse just fits. Or perhaps, my hand has grown around it. Either way. The scroll wheel is unlike any other. It allows you to both zoom if your CAD software and provides faster scrolling in documents. There’s a noticeable difference after using another mouse without the ‘inertia effect’ that the CadMouse provides. This alone will keep that knuckle fatigue at bay. I would like to see the scrolling made smoother–closer to what I have with the Logitech M325 mobile mouse. The buttons on the side of the mouse allow you to zoom in and out on your model. Quite handy this. In browsers it allows you to go forward a back a page. Upon first using this I often hit the buttons accidentally when moving from keyboard to mouse. 3Dconnexion replaced the mouse with an update which had stronger buttons and now I rarely trigger the buttons after accidentally hitting them. I’m so use to using the scroll wheel as my middle mouse button that I had trouble using this in the beginning. It’s still not as natural for me as I’d like, but I never used a middle mouse button. However, it is much faster to use the middle mouse button when CAD’ing about and reduces your finger movements greatly. I love everything about the Command Quick Access (below the Smart Scroll wheel) except the location. It’s positioned just so that I really have to bend my finger or move the lower part of my finger to press it. Additional access to commands is excellent though and keeps you on the workspace and out of menus and toolbars. I never thought I would put much value in a mouse pad, but the optional CadMouse Pad ($29), is simply perfection. There are three unique things about this mousepad: It’s large, it’s thin and it works incredibly well. The mousepad has a ‘micro-texture coating’. You can tell the difference right away from moving between it and other surface. It’s not an optional accessory. It’s a must have. When I first started using this new mouse, I didn’t think I would like it. But as it usually goes, you don’t notice what you’ve got until it’s gone. 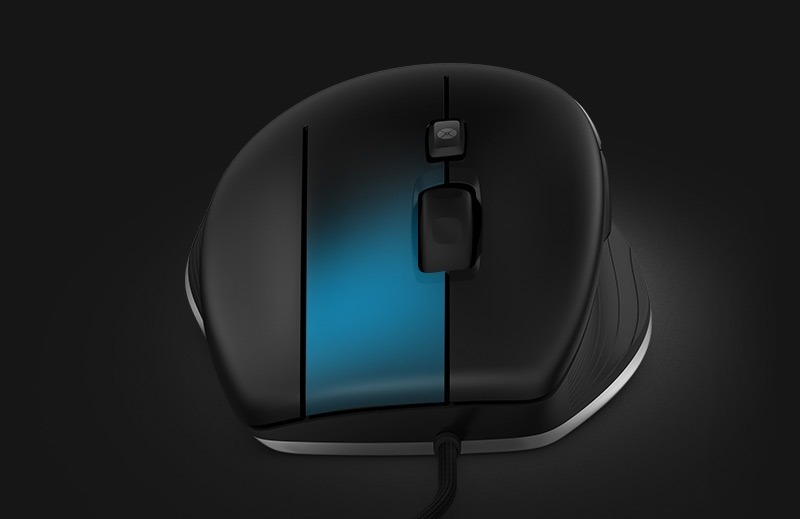 For me, the most noticeable difference in this mouse is the scroll–apparently I scroll, a lot. The Smart Scroll is a single feature that makes you more efficient and offers a better experience across CAD application and other applications. The middle mouse button was the oddest addition to this mouse, harkening back to older mouse designs, but 3Dconnexion has done a perfect job of implementing an additional button that provides obvious speed to the workflow. The command quick access, while not the best location for me, adds that extra access to keep you in your workspace as do the QuickZoom buttons on the side. At $99, this mouse may seem expensive, but it’s those extra features and that extra attention to detail that make it just worth the price. I’ll be watching for a wireless version, but for now, the solid construction and additional capabilities this adds in and out of CAD applications make it a must have for intensive CAD work. 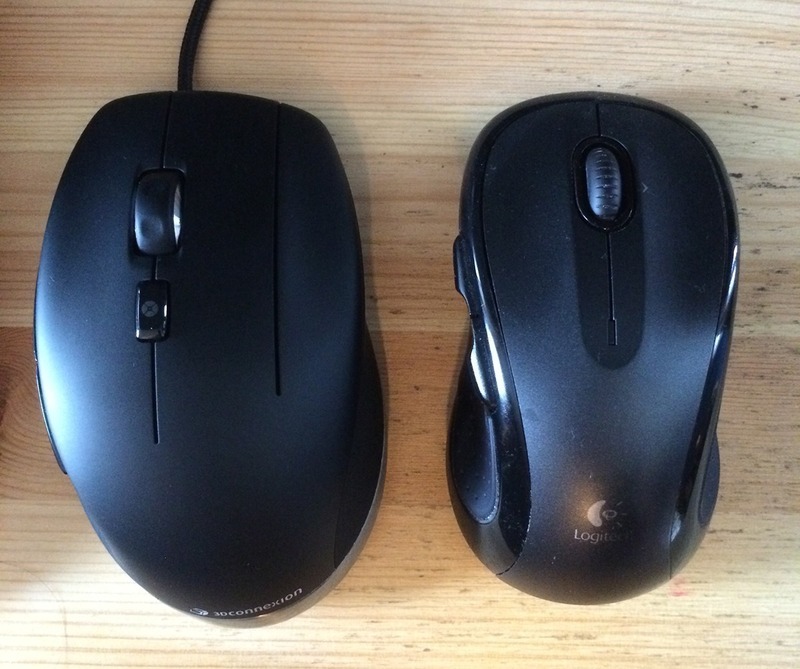 Let us know your experiences with the CadMouse in the comments if you’ve used it and let us know which mouse you prefer for your 3D CAD application.